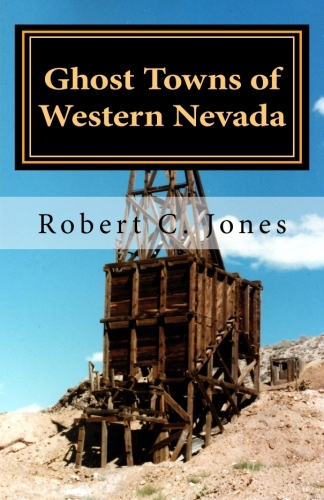 The author has written several books on southwestern ghost towns and "Old West" themes. They are among his best sellers. They are available retail or wholesale. I've written several books on ghost towns in the southwestern part of the United States, which includes Death Valley, Mojave Preserve, Nevada, Arizona and New Mexico. 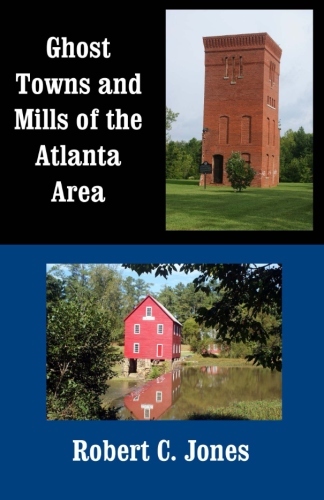 I decided to write a similar book on ghost towns and mills in the greater Atlanta area. There are more of them in the Atlanta area than you might think. I'm defining a “ghost town” as a place where people used to live and work, that is either now abandoned, is a “ghost of its former self”, or (in a couple of instances) whose original raison d'etre is gone. A surprising number of the sites described herein are completely abandoned, and several of them are either inside the perimeter, or close by. Others are further out, into the suburbs and exurbs. There are 35 sites contained within, located in 14 counties. The books includes 115+ illustrations. Click here to see all 100+ color photos from my book "Death Valley Ghost Towns: As They Appear Today"
Death Valley has a fascinating mining history. Miners first passed through here in 1849 during the California gold rush, not realizing that there were vast deposits of gold and borax just waiting to be taken out of the mountains and Valley floor. By the late 19th century though, large scale gold and borax mining operations were in full swing. In the 20th century, talc mining would join borax as the two most important minerals mined in the Death Valley area. The most common extant ruins in Death Valley include mill ruins, metal or stone mine buildings, mine openings, and metal water towers. There are few mercantile or residential structures remaining (Rhyolite and Aguereberry Camp being two exceptions). The vast majority of the photos in this book were taken in the 21st century. 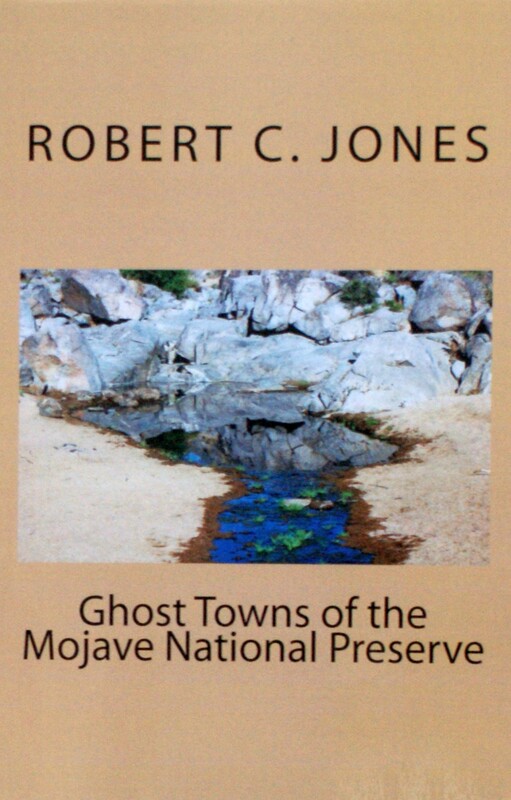 Thus, this book focuses primarily on what there is to see in the Death Valley ghost towns today, with a bit of the history of the sites included along the way. Both the color and black and white print editions have been updated in 2013, adding 3 new sites and 7 maps. The color print edition has 100+ photos in full color. Updates, March 2013: The road up Trail Canyon (Broken Pick Camp, Morning Glory Mill) is blocked by rocks a couple hundred yards into the canyon mouth. Last Chance Cabin (near the intersection of Death Valley Road and Crankshaft Crossing), has collapsed. The road to the cabin is in very bad shape. The Arizona desert provides splendid examples of ghost towns (Ruby, Duquesne, Courtland) and historic towns (former boom towns that have survived into the 21st century - Jerome, Tombstone, Oatman). Echoes from famous figures from the boom town days, such as Doc Holliday and Wyatt Earp, can still be heard today. 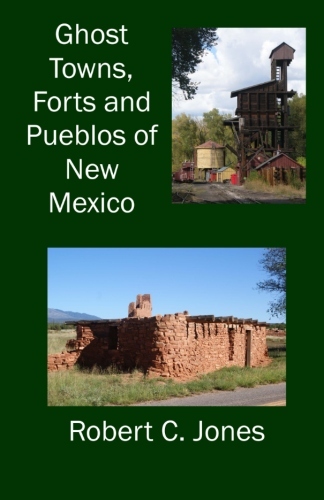 From abandoned sites such as Old Hachita and San Pedro to historic towns that have survived until today (Columbus, Mesilla, Lincoln), New Mexico is rich in old mining, ranching and railroading towns. The ghosts of Billy the Kid, Pat Garrett, John Chisum, and even Pancho Villa, all players in New Mexico history, can be felt in many of the towns. 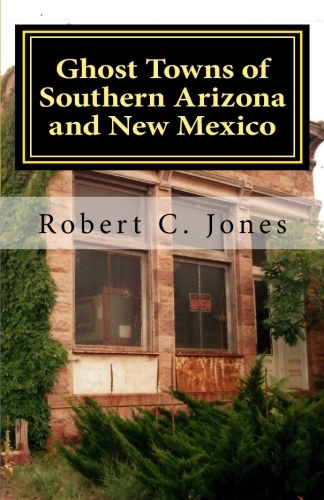 This book examines 42 ghost towns and historic towns in Arizona and New Mexico, and features 100+ color photos. Mojave National Preserve was established in 1994 through the California Desert Protection Act. Its 1.6 million acres makes it the third largest entity in the National Park system (contiguous States). Among its most popular sites are the Cima Dome, Mitchell Caverns, the Kelso Dunes, the Mojave Road and the Kelso Depot. There are hundreds of abandoned mines within the Preserve, and scores of abandoned mining camps and towns. This book will look at many of the major ones as they appear today - all of the photos in this book have been taken in the 21st century. Included in the book are detailed directions on how to get to the sites, as well as a personal rating system of how worthwhile the remains at each sight are to see. Contains 93 photos taken by the author. In the "Color edition", all photos are in color. 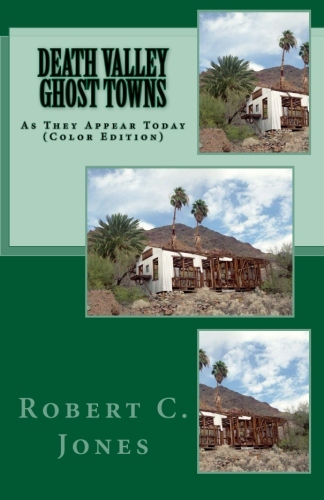 The author has written several books about ghost towns in the Southwest – Death Valley, the Mojave, Arizona, New Mexico and Nevada. Those books have very much been about places. 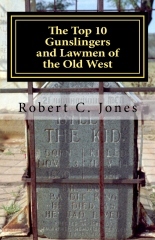 This book, focused on gunslingers and lawmen, is very much about people - the sort of people that populated many of the Western towns in the post-Civil War “Old West”. The gunslinger category is focused on people famous for handling a gun, who were not (primarily) in law enforcement. This could include scouts, outlaws, target shooters, and “quick draw artists”. Among the names in the "Top 10": Annie Oakley, Butch Cassidy, John Wesley Hardin, Doc Holliday, Billy the Kid and Jesse James. The lawman category includes “gunmen” sheriffs, known as much for their shooting and quick draw ability as for their law enforcement skills, and also several professional law enforcement personnel who made their careers as sheriffs or marshals, and started to develop what later would become standard procedures for law enforcement officials in the 20th century. Among the "Top 10" in the lawman category: Wyatt Earp, Wild Bill Hickok, Pat Garrett, Allan Pinkerton and Seth Bullock. This edition contains 40 photos.